Why fascial release isn’t doing what you think it is. Fascia is a heavily researched topic but not much of that research is relevant to hands on manual therapy (massage). Myofascial release is becoming a more and more popular treatment technique, i even perform some of the techniques myself. But are we actually influencing the fascia or is something else going on? Firstly, what are the functions of fascia? Fascia is an infection barrier to help prevent the spread of pathogens. What does this mean medically? In university Osteopaths, physios, chiropractors, doctors, dentists etc are all taught red flags. Compartment syndrome is an infection where by the forearm inflates. Due to fascia being so tough and rigid and not expanding with the muscles around it, circulation gets cut off and the flesh in the compartment begins to die. Basically fascia is so robust that it requires surgery to reduce the pressure in cases like compartment syndrome. There are a number of theories floating around that fascial ‘release’ practitioners refer to. The first is a piezoelectric effect. This is the notion that crystals in fascia respond to movement generating an electric charge and this is how the fascia releases. Piezoelectricity has been proven in bone and is the cornerstone of the slow process that is bone remodeling. The process hasn’t yet been shown in fascia. The system is complex and is not one which can be influenced by a therapist manually, making the theory a clinically irrelevant biological property. In contrast, the studies of the plasticity of fascia and its short term effects have been studied and there is simply no change to fascia in response to massage. Massage can’t influence fascia anymore than massage can influence bone structure. Another theory is the ‘fuzz’ theory. This theory looks at some loose connective tissue lying between the fascia and that when someone is stiff then its because this fuzz has solidified. This theory is easy to brush to one side as the fuzz only manifests once you die and begin rigor mortis. The third theory is to do with thixotropy. The theory is that body fluids like synovial fluid and ground substance get thinner when they are agitated or stressed. The problem with this theory is that thixotropy is a slow process and fascia is very tough and its density can’t be changed easily. So quick changes in fascia made by therapists don’t add up based on this mechanism. As of yet we don’t know. We will be getting some effect to the muscles as they respond to touch and feel, however this is no different to normal massage or palpation. Nerve endings will be stimulated but they would during any sensation. All we know is that the fascia isn’t releasing do to the effect of manual therapy. 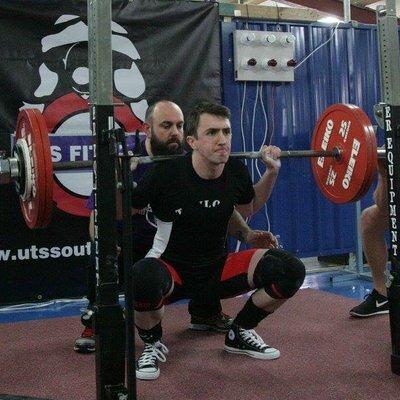 Michael is an Osteopath, trainee strength coach and competitive powerlifter.